+1 diopter optical power close-up lens attachable to the standard lens of INSPECTIS video microscopes. For higher magnification applications. Increases overall magnification of F and U microscopes by approximately 23%. 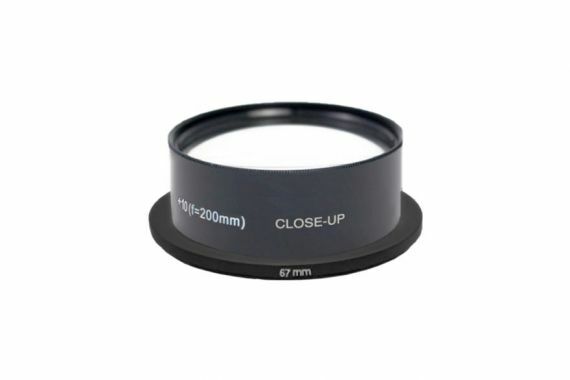 +2 diopter optical power close-up lens attachable to the standard lens of INSPECTIS video microscopes. For higher magnification applications. 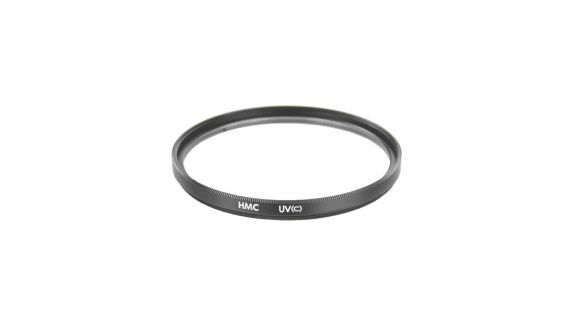 Increases overall magnification of F and U microscopes by approximately 45%. 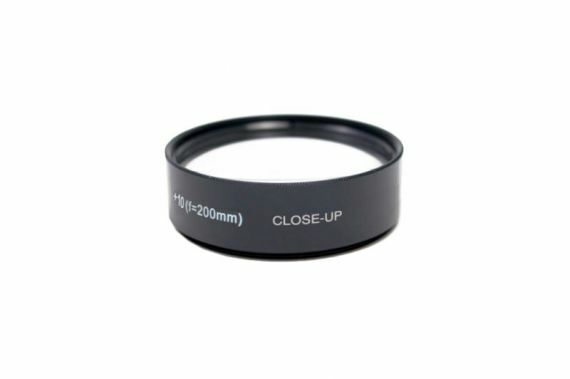 +3 diopter optical power close-up lens attachable to the standard lens of INSPECTIS video microscopes. For higher magnification applications. Increases overall magnification of F and U microscopes by approximately 65%. 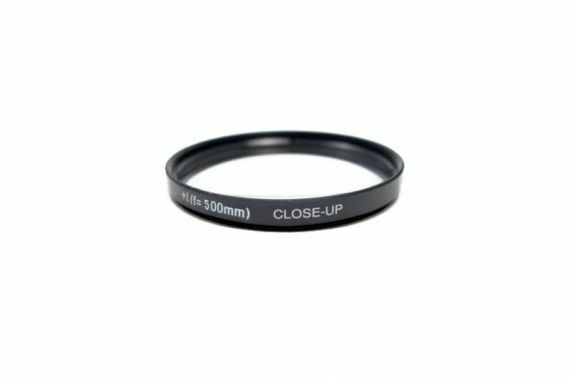 +5 diopter optical power close-up lens attachable to the standard lens of INSPECTIS video microscopes. For higher magnification applications. Increases overall magnification of F and U microscopes by approximately 210%. 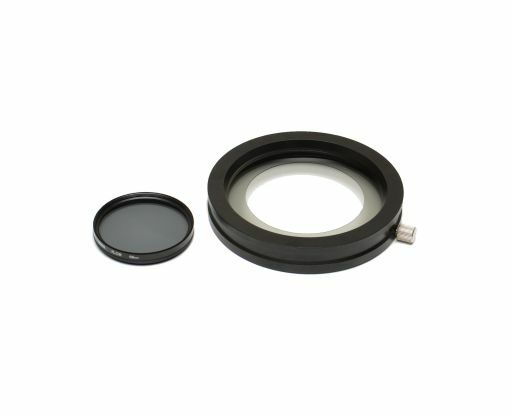 +10 diopter optical power close-up lens attachable to the standard lens of INSPECTIS video microscopes. For higher magnification applications. Increases overall magnification of F and U microscopes by approximately 320%. Lens protecting window made of high quality optical glass with multi-layer anti reflection coating. LED illuminator containing high power white LED lamps for a various incident light applications. Detachable diffuser filter and integrated brightness control for smooth and soft illumination included. Powered directly via AUX output of Inspectis Digital Microscopes for excellent cable management. Polarising filter set consists of a polariser which is attached on front of the LED RingLight and an analyser which is screwed on the camera lens. For polarised light microscopy and for eliminating glare from highly reflective objects like solder joints. 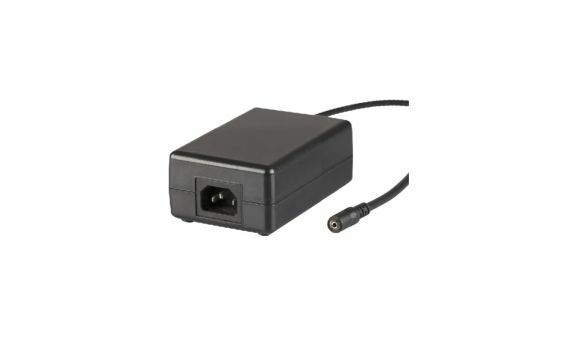 External power supply for RingLight when Inspectis AUX power output is not available. 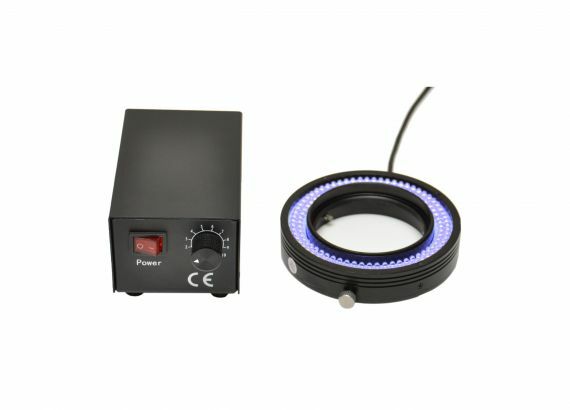 Ultra Violet LED ring light containing 126 UV LED lamps for a flicker free illumination. Homogenous illumination at 365-395 nm wavelength range. Delivers with external controller and electronic dimmer. 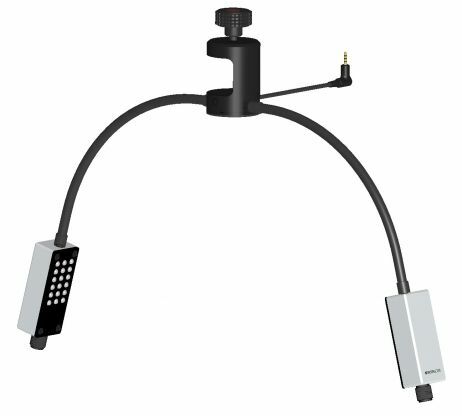 LED illuminator containing 18 ultra-bright white LED lamps mounted on gooseneck arm for various oblique incident light applications. 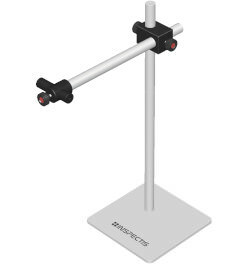 Equipped with a universal clamp compatible with all Inspectis microscope Stand models. Optimised for illumination of large and shiny surfaces like electronics PCBs and metal parts. Double-spot LED illuminator containing 2×18 ultra-bright white LED lamps mounted on gooseneck arm for various oblique incident light applications. 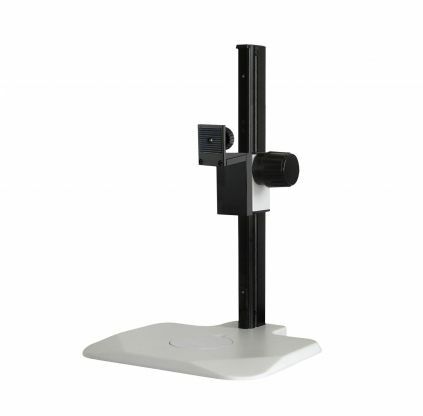 Equipped with a universal clamp compatible with all Inspectis microscope Stand models. 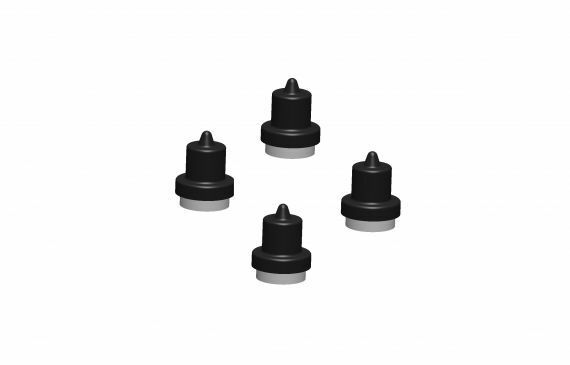 For high-contrast illumination of different specimens and applications. Remote Camera Control allows further adjustments of Camera and lens attributes, including zoom, brightness, lens aperture size (iris), manual focus, white balance and image contrast. Features such as the zoom factor display, cross-hair overlay on live image, can be turned on. In addition 2 memory settings can be saved and recalled for individual samples. 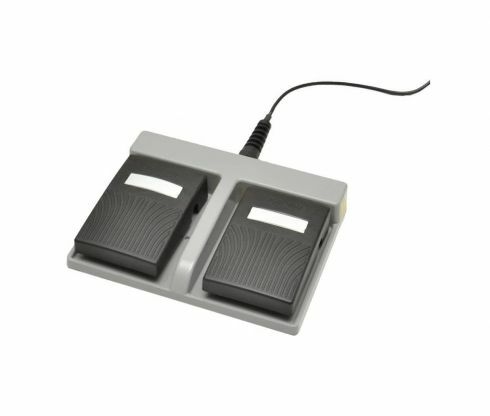 Industrial-quality two pedal foot switch for hands free control of Camera and Lens parameters of Inspectis Digital Microscopes. 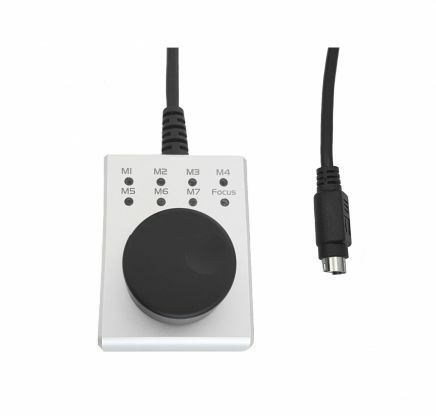 Foot switch is plugged into the real panel of HD-020 Inspectis Remote Camera Control and works in parallel with + and – buttons of the Control device. 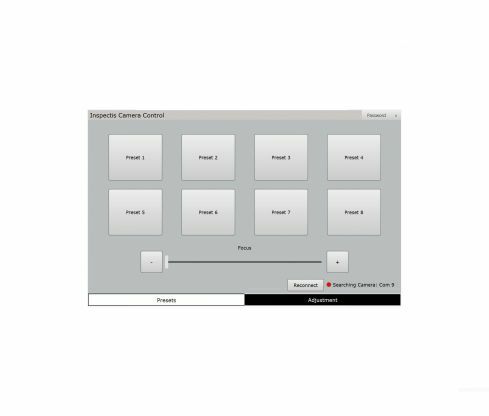 Innovative knob drive controller with 7 memories that are configured and saved by Inspectis camera control PC software. Any of the M1 to M7 configurations can then be selected and recalled by the knob. In addition, Manual Focus feature can be enabled on controller for fine focusing of your object with knob drive for any of the preset memories. Communication cable is included for programming via PC software. Software for remote control of Inspectis digital microscopes via PC. All camera and lens attributes can be controlled by software or saved onto 8 memories for quick recall via a user-friendly password protected pre-set window. Works perfectly with small size PCs sing a touch control monitor. USB communication cable for attaching Inspectis digital microscopes to PC/Laptop to be controlled by software. 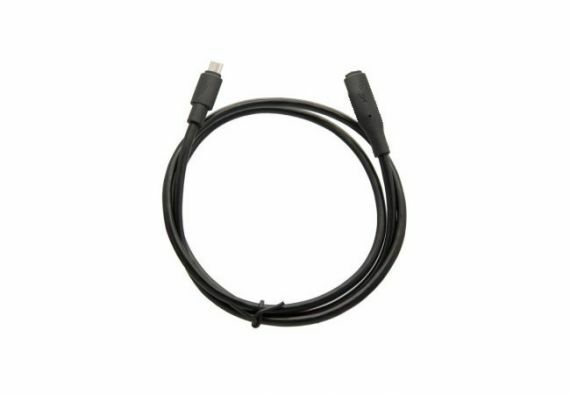 1.0m extention cable for Inspectis Remote Controls when extra cable length is required. INSPECTIS is an easy-to-use software developed for viewing and capturing video or images from the full range of Inspectis HD, Full HD and 4K digital microscopes. 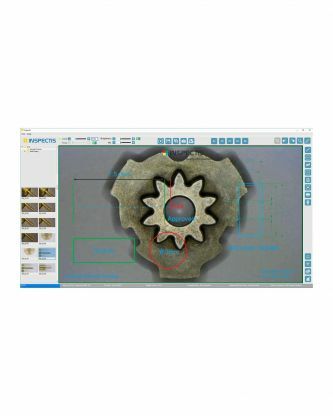 Inspectis software provides powerful tools for calibration of device magnification, geometrical measurements, live image overlays and annotations on still images. Results can be printed or exported as certificates and reports with custom made templates. Additional features are available with the ProX version such as camera control, automatic focus stacking, interval overlay display , automatic lens distortion correction and automatic calibration tracking for all zoom positions. 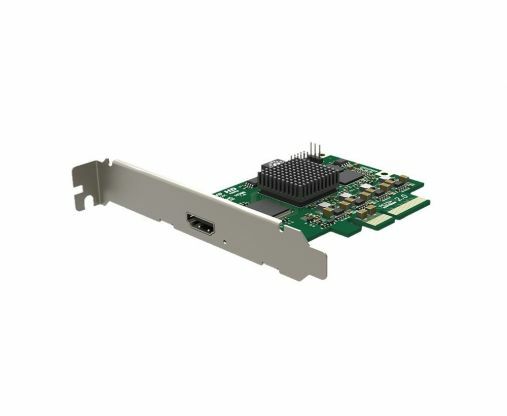 One channel 4K PCI express 2.0×4 video capture card. Connect HDMI output of your Inspectis 4K 2190p Digital Microscopes to this card and capture live image of your Digital Microscope in Ultra HD 8.3 MP resolution. Can be ordered stand-alone or with Inspectis Basics, Pro and ProX software packeges. 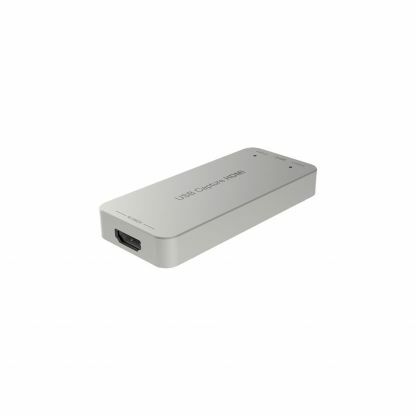 High quality Plug-&-play 4K HDMI to USB3.0 Video Capture device. Connect HDMI output of your Inspectis Full HD 1080p or 4K 2190p Digital Microscopes to this device and plug it to USB3.0 port of your computer to capture live image of your Digital Microscope in Full HD format (down scaled if 4K). Supports loop-through for connecting the video to an external monitor. Can be ordered stand-alone or with Inspectis Basics, Pro and ProX software packages. 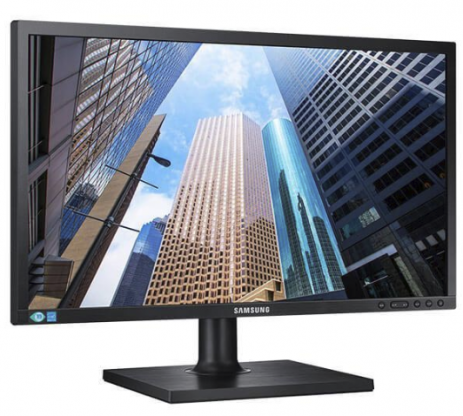 Available as HD-120-P (Pro version) with capture and loop-through resolution at 4K, 4096×2160 format. 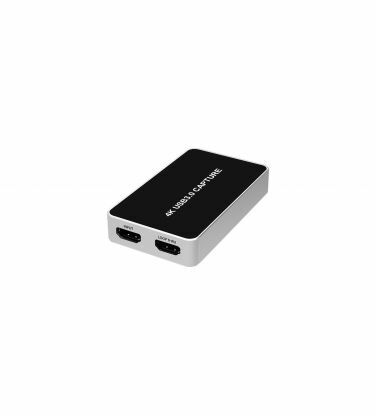 Plug-&-play high quality Full HD HDMI to USB3.0 Video Capture device. Connect HDMI output of your Inspectis HD 720p or Full HD 1080p Digital Microscopes to this device and plug it to USB3.0 port of your computer to capture live image of your Digital Microscope in Full HD format. Can be ordered stand-alone or with Inspectis Basics, Pro and ProX software packeges. 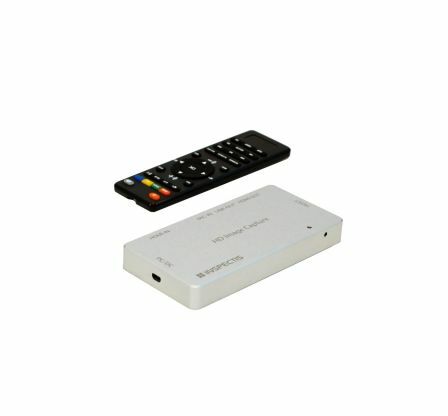 External high-quality, plug-&-play Video and Still Image Capture Device without need of host computer. Captures Full HD video and still pictures up to 1080P resolution from HDMI output of Inspectis 4K Digital Microscopes. USB Flash drive interface. Live Video Loop and Playback function. 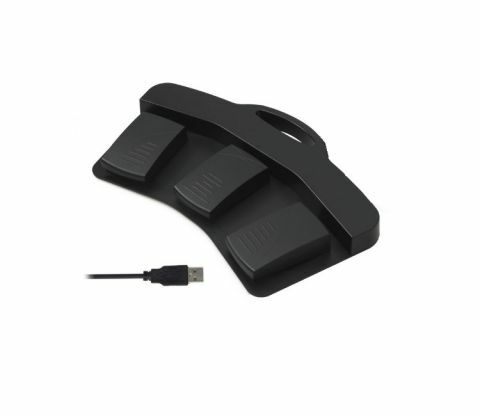 USB foot switch for hands free image capture in Inspectis software. 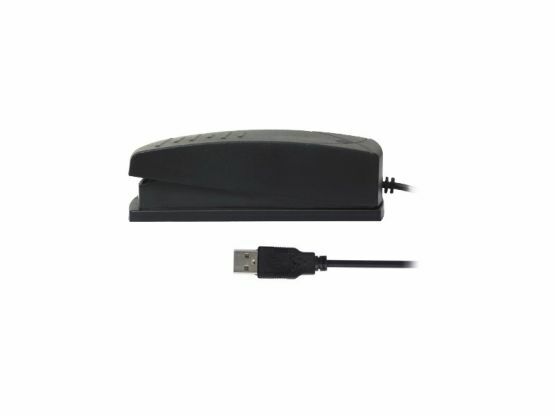 Foot switch is plugged into the USB port of computer and automatically recognized by the Inspectis software. 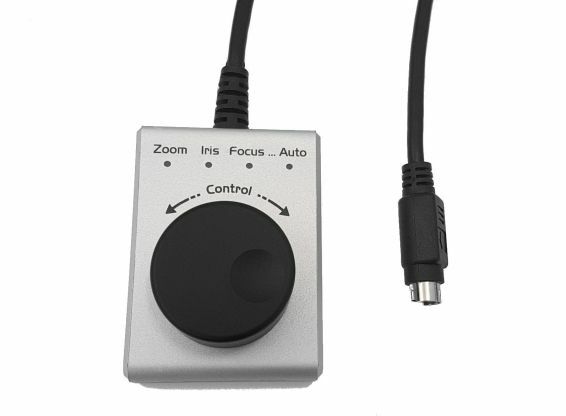 USB foot switch for hands free control of Zoom In, Zoom Out and Image Freeze or Image Snap in Inspectis ProX software. Foot switch is plugged into the USB port of computer and automatically recognized by the Inspectis software. Can be programmed for other camera controls on request. Software Development Kit (SDK) designed for Inspectis’ U and F series digital microscopes. 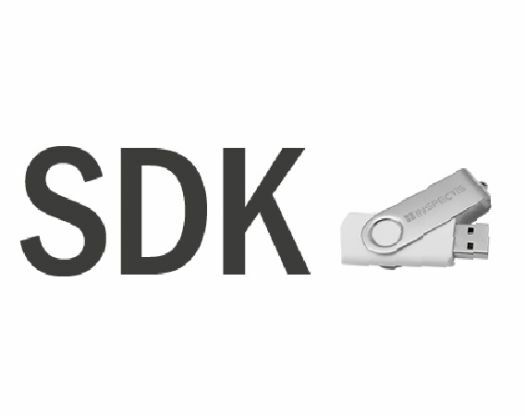 Inspectis SDK provides users simple codes for establishing connection with the camera as well as full control over camera and lens parameters. Delivers with Inspectis communication cable HD-035. Industrial-type boom stand with sturdy base and Ø 25mm diameter vertical and horisontal post in Stainless Steel that extends over the working area. Provides complete flexibility for horisontal and vertical adjustment of Digital Microscope. ESD-protected industrial-type boom stand with sturdy base and Ø 25mm diameter vertical and horisontal post in Stainless Steel that extends over the working area. Provides complete flexibility for horisontal and vertical adjustment of Digital Microscope. Designed for Inspectis Digital Microscopes. Mechanical adapter designed to attach on horizontal rod of the Inspectis single-arm boom stands for tilting Digital microscope along two axes. Provides angular flexibility for Inspectis Digital Microscope. In addition, this adapter makes it possible to attach Inspectis Rack & Pinion Focusing unit to the Stands. 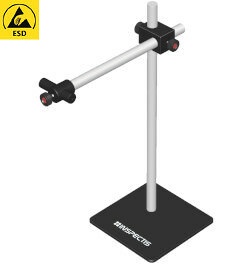 ESD-protectes industrial-type boom stand with extended L630mm and φ25mm diameter vertical post and φ25mm L380mm boom in Stainless Steel that extends over the working area. Equipped with 90° crossed-adapter and extra L100mm rod for side-mounting of digital microscopes. Provides complete flexibility for horizontal and vertical adjustment of Digital Microscope. Industrial-type boom stand with extended L630mm and φ25mm diameter vertical post and φ25mm L380mm boom in Stainless Steel that extends over the working area. 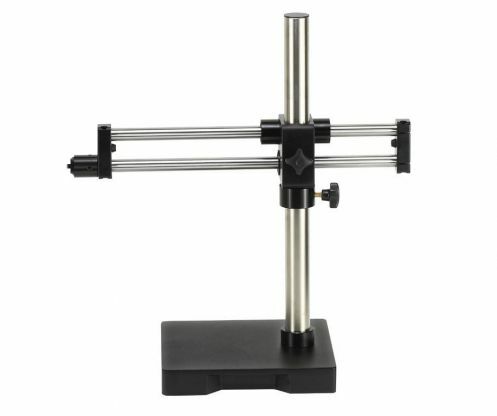 Equipped with 90° crossed-adapter and extra L100mm rod for side-mounting of digital microscopes. Provides complete flexibility for horizontal and vertical adjustment of Digital Microscope. 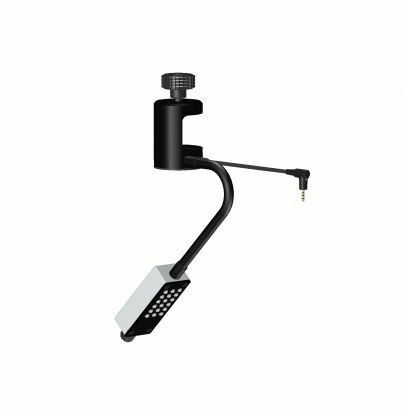 Industrial-type light double-arm boom stand with UNC ¼”-20 mounting screw for Inspectis Digital Microscopes. 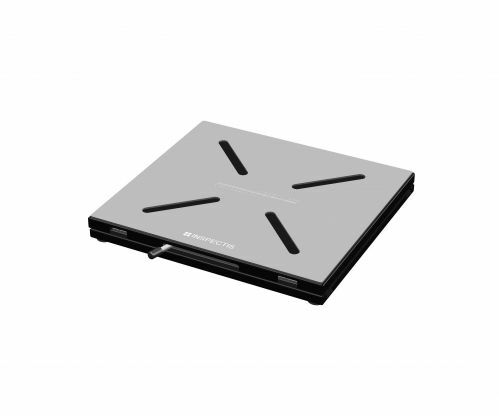 Sturdy solid metal 240mm x 240mm x 8mm base for excellent stability. Provides complete flexibility for horizontal, vertical and angular adjustment. Industrial-type light double-arm boom stand with UNC ¼”-20 mounting screw for Inspectis Digital Microscopes. 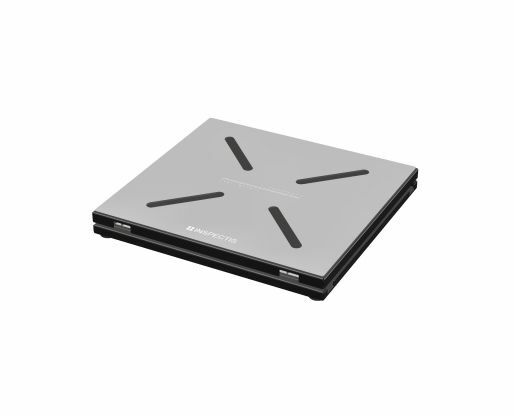 Sturdy solid metal 240mm x 240mm x 8mm base for excellent stability. Provides complete flexibility for horizontal, vertical and angular adjustment. ESD-protected. Industrial-type double-arm boom stand with UNC ¼”-20 mounting screw spigot for Inspectis Digital Microscopes. Sturdy solid metal 245mm x 245mm x 40mm base for excellent stability. Provides complete flexibility for horizontal, vertical and angular adjustment. Industrial-type heavy duty swing arm boom with UNC ¼”-20 mounting adapter for Inspectis Digital Microscopes. Working distance of Microscope is kept fix when travelled across object. Sturdy bench-top clamp for excellent stability. Provides complete flexibility for horizontal, vertical and angular adjustment. 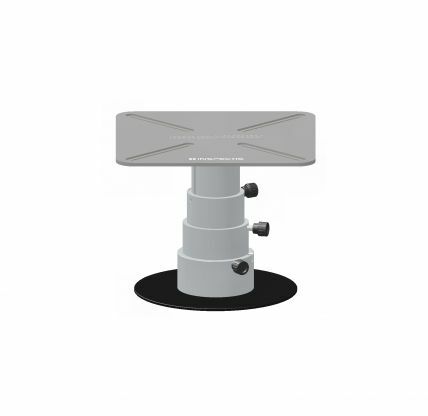 Industrial-type Rack and Pinion mount with ¼-20 stud and Ø 25mm mounting hole for fine adjustment of Working Distance or Focus of Inspectis Digital Microscopes. Delivered with Ø 25mm vertical arbour. 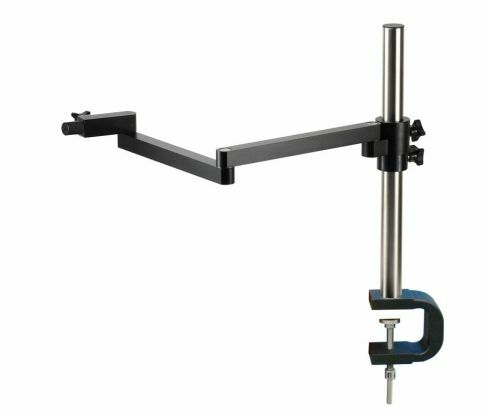 Compatible with Inspectis Single-arm, Double-arm and Articulated-arm Boom Stands. Industrial-quality track stand with sturdy base and rack & pinion for focus and working distance adjustment. Provides flexibility for fine focusing of the image or working distance adjustment of Inspectis Digital Microscopes when used with different close-up lenses. 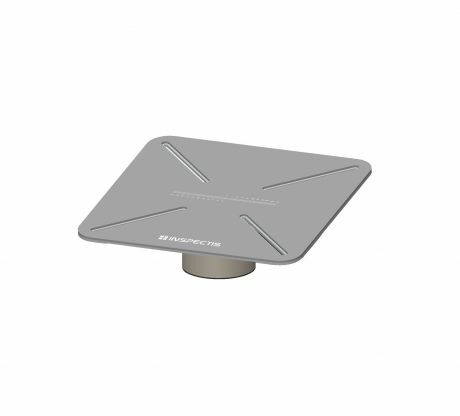 Track height of 500mm provides a practical range that allows easy viewing of small and large objects. Industrial-quality track stand with antistatic coated large size base and rack & pinion for focus and working distance adjustment. Provides flexibility for fine focusing of the image or working distance adjustment of Inspectis Digital Microscopes when used with different close-up lenses. Track height of 500mm provides a practical range that allows easy viewing of small and large objects. 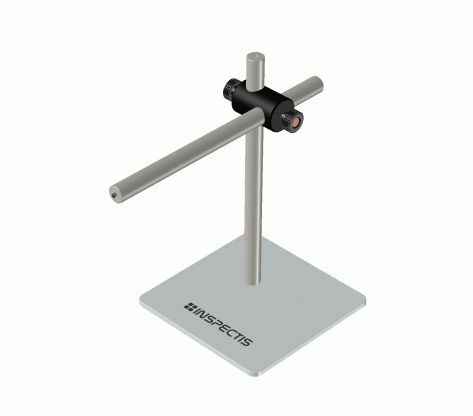 The Inspectis XY-travel Rack Mount provides smooth lateral movement of the Digital Microscope over the object under inspection. Designed for installation in commonly used industrial racks to provide fully integrated online inspection solutions. Use especially over conveyor lines or for processes where object handling is undesirable. 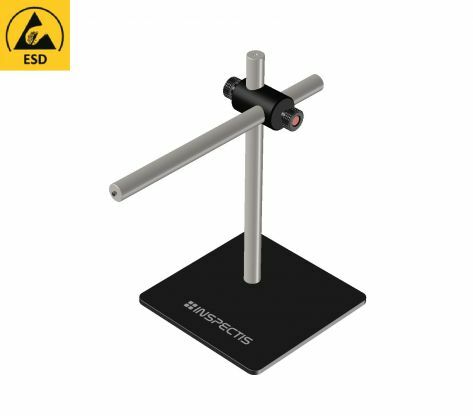 The Inspectis XY-travel stand provides smooth lateral movement of the Digital Microscope over the object under inspection. Use especially when inspecting large objects or for processes where object handling is undesirable. Custom cut linear guiding system mounted on high density aluminum profile for X-travel and a rigid custom sized double-arm boom creates requested Y-travel range of the Digital Microscope. 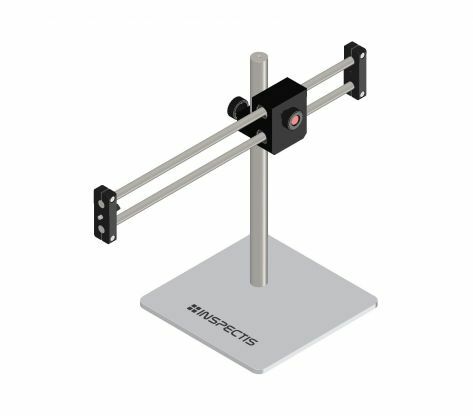 The Inspectis 4-directional tilt unit provides quickly repeatable ± 30° slope angles along both X and Y-axes. Designed for side viewing of the object under inspection whilst retaining the position within the standard working distance of the Inspectis Digital Microscope. 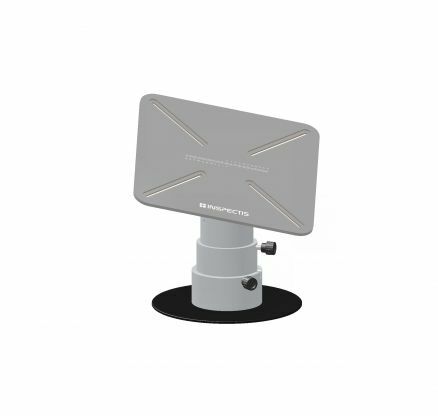 Equipped with individual X and Y-handles and discrete stops at 30°angles for easy operation. 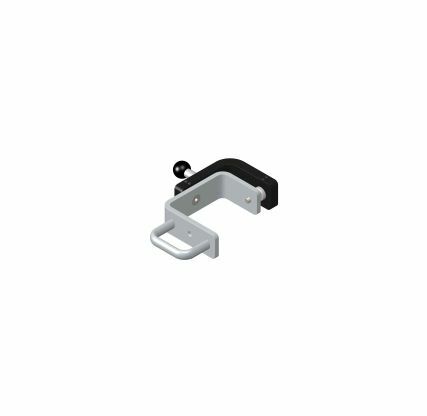 Z-movement Bracket enables vertical (height) adjustment of the Digital Microscope over inspection object when extra diopter lenses are attached to the camera. Working Distance of F and U series DM can be adjusted without changing vertical position of the stand rail using Z-movement Bracket. 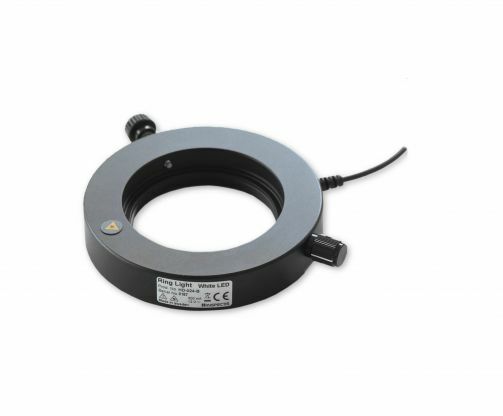 The Inspectis XY Floating board provides smooth lateral movement of your inspection objects under the microscope. The working surface is covered by a high friction antistatic mat that keeps your inspection object in place. 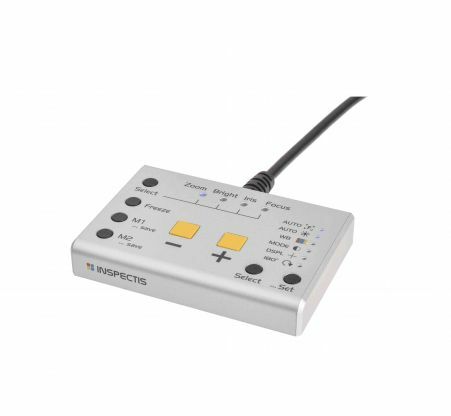 The Inspectis XY Floating board provides smooth lateral movement of your inspection objects under the microscope. Equipped with position locking mechanism for maximum stability. The working surface is covered by a high friction antistatic mat that keeps your inspection object in place. Inspectis tilt board provides smooth movement of your inspection objects up to 30 degrees angle in all directions. Working surface of tilt board is covered by high friction antistatic mat to keeps your inspection object in place. 4 slots are available for attaching optional magnetic pegs or custom-made fixtures and holders. 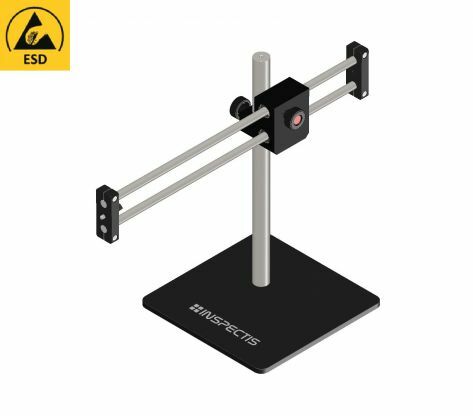 The Inspectis Telescopic Height Adjustment Table provides 103mm vertical displacement of your inspection objects along optical axis of your digital microscope. The working surface is covered by a high friction antistatic mat that keeps your inspection object in place. 4 slots are available for attaching optional magnetic pegs or custom-made fixtures and holders. Designed to adjust Working Distance of U, F and C series Plug-and-Play Digital Microscopes to your inspection object when dipoter macro lenses are used. 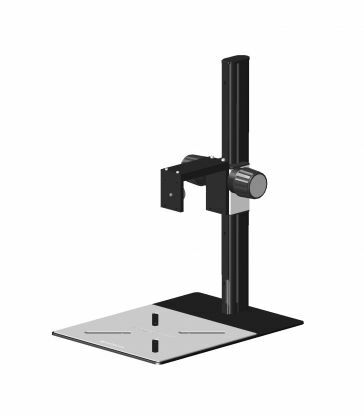 The Inspectis Telescopic Height Adjustable Tilt Table provides 103mm vertical displacement and up to 30 degrees angle of the inspection objects under your digital microscope. The working surface is covered by a high friction antistatic mat that keeps your inspection object in place. 4 slots are available for attaching optional magnetic pegs or custom-made fixtures and holders. Designed to adjust Working Distance of U, F and C series Plug-and-Play Digital Microscopes to your inspection object when dipoter macro lenses are used. 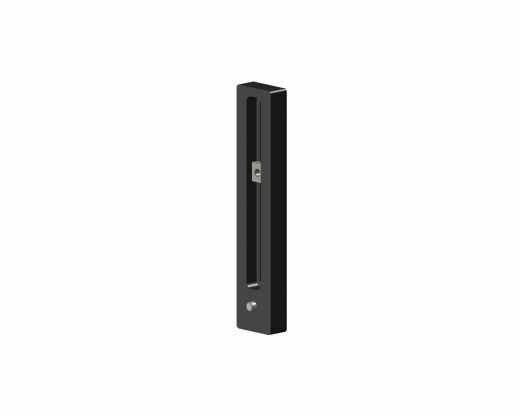 Antistatic rubber coated magnetic pegs for stable holding of objects under inspection. 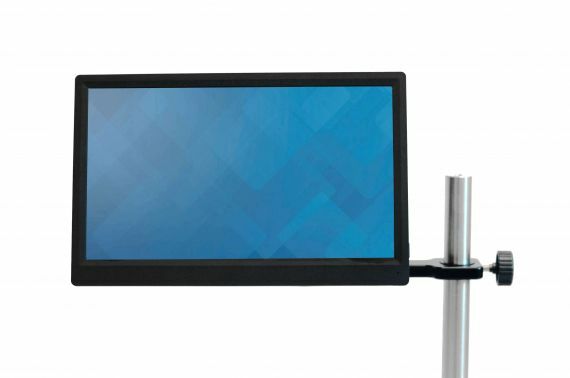 Compatible with Inspectis XY-floating tables, Telescopic height adjustment tables and Tilt boards. 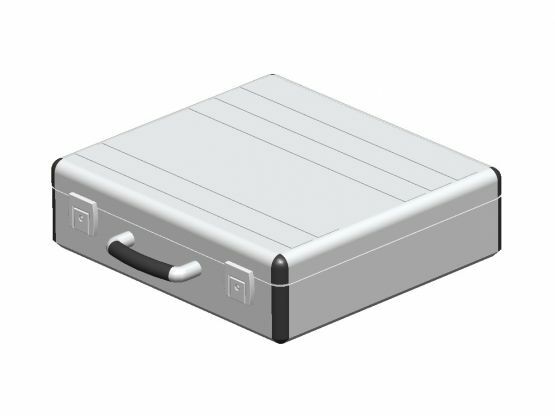 Rigid aluminum case with specially designed foam inlay for safe storage and transport of INSPECTIS Digital Microscopes. Standard high quality Full HD LED monitor tested and approved for Inspectis F and C series Digital Microscopes for best performance. 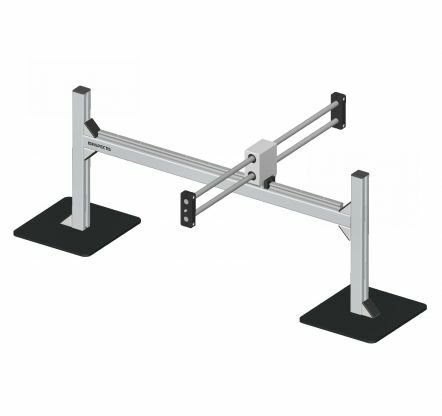 Compatible with VESA 100x100mm mounts. Delivers with table top stand. 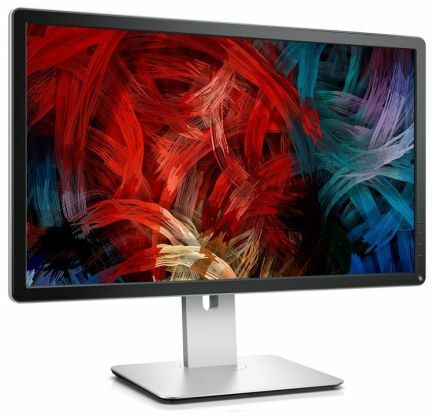 INSPECTIS 12” 1080p FHD LCD industrial monitor with HDMI input. 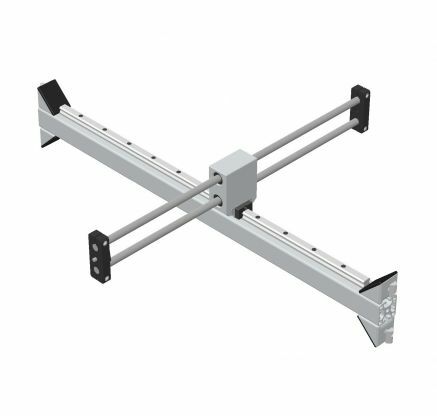 Delivered with Ø25mm post bracket for easy mounting on INSPECTIS Single-arm Boom Stands. Adjustable height, angle and direction of view. Ideal for inspection tasks where available working space is a limiting factor.